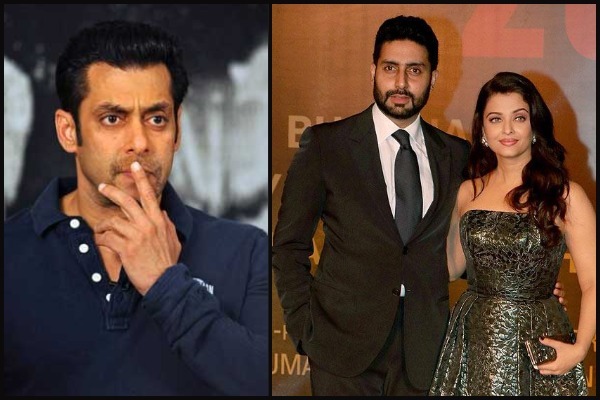 While it has been years since Salman Khan and Aishwarya Rai Bachchan broke up but the skeletons of their relationship are still alive. At every opportunity their names are attached together in headlines. This time is no different. Reports of Salman Khan being casted for fourth instalment of the ‘Dhoom’ franchise are going on for more than a year and now we hear that Dabangg Khan has walked out of the multi-starrer film. Is his ex-girlfriend’s current husband Abhishek Bachchan the reason for his abrupt exit from the film? As per daily newspaper, Salman Khan’s character was supposed to be based along the lines of Aamir Khan and Hrithik Roshan’s character in the previous Dhoom movies. As per reports, Salman was requested to grow his hair and sport a scar on his face as per his character’s look. However, now the latest reports state that Salman Khan has walked out of the project because the filmmakers were not able to meet his demands. Were Salman Khan’s demands so unreasonable? Reportedly, Salman Khan did not want to be in a single frame with Abhishek Bachchan’s character. Now anyone who has seen the ‘Dhoom’ franchise knows that Abhishek’s character ACP Jai Dixit is an important and a constant part of the action franchise. Hence, it was difficult for the filmmakers to find a way around Salman’s demands due to which he walked out of the project. Other sources also state that the rumours of ‘Bajirao Mastani’ actor Ranveer Singh being a part ‘Dhoom 4’ was also a reason for Salman Khan’s departure from the film. But it turns out that Abhishek Bachchan and Ranveer Singh are not the reasons for Salman Khan’s abrupt departure from ‘Dhoom 4’. Reportedly, as per Dailyhunt, Salman Khan admitted in a recent interview that he does not want to play an all-out villain in any of his projects as his audiences consist of people of all age, especially impressionable children. Clearly, Salman Khan does not want his audiences to get an wrong impression due to his wrongdoings on screen.